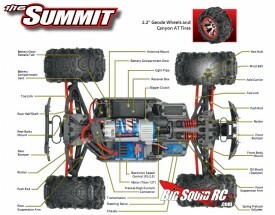 Traxxas 1/16 Summit (Non Brushless Edition) « Big Squid RC – RC Car and Truck News, Reviews, Videos, and More! Haven’t seen this posted anywhere, so thought I’d share. 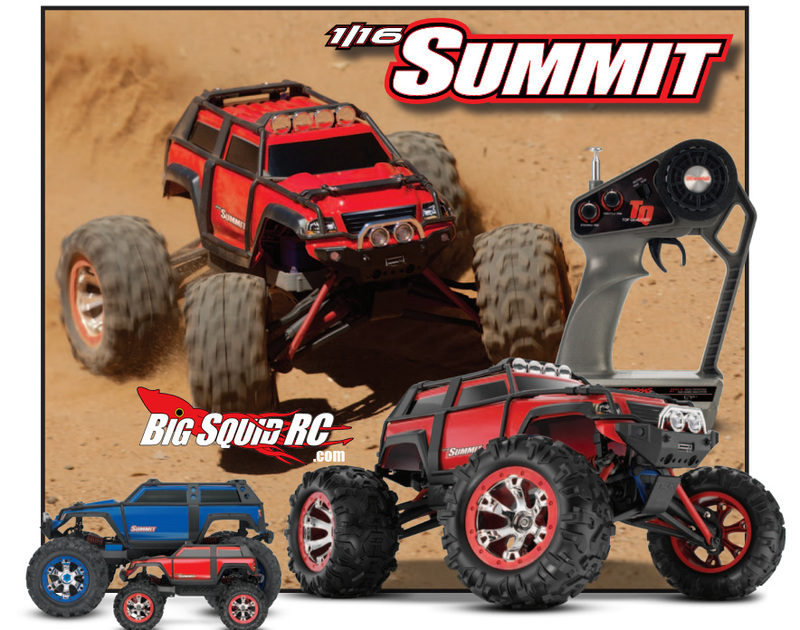 It looks like Traxxas has a new version of the 1/16 Summit on the way! Looking through all the details, it appears to be identical to the current 1/16 Summit VXL except for the radio and ESC/Motor. This new version will come with the Traxxas AM radio and the Titan 12T 550 motor and XL-2.5 ESC! This is the same motor as some of the Traxxas 1/10th scale vehicles! It is still all waterproof and will be able to take a serious bashing. Why a new version when there is already a brushless VXL version? My guess is to save us people on a budget about $100! I’d tell you to hit the Traxxas web site for more info, but they don’t have this one listed yet. But after breaking the news here, expect it to be up on their site VERY soon, that’s usually how it goes.